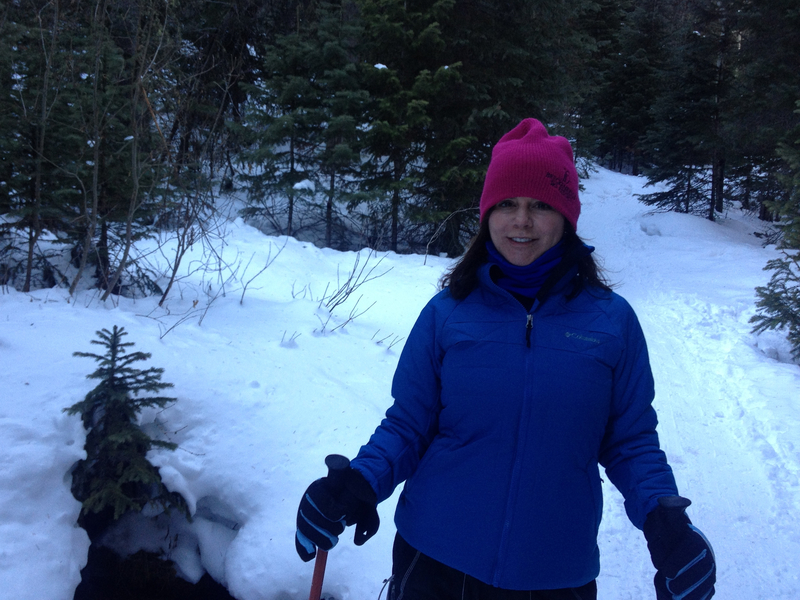 How can anyone resist snowshoeing at a trailhead called Peaceful Valley. Karen and I couldn’t. I initially planned another trail up at Brainard Lake, but this is closer. We had a later start today and this saved us about 15 or 20 minutes. The parking is just off the highway. The entrance to the campground is closed off in the winter, but there’s about 100 yards of road to park on. By the time we finished, others were parked out on Hwy 72. We took the Buchanan Pass Trail. This starts down the road a couple hundred yards or so past the first gate. Actually just in front of the Peaceful Valley Campground which has a second gate. The trail begins with a climb and is super pretty, in the trees and lined with natural boulders. My Garmin captured 12° but it felt at least 30°, and the wind was only about 4 mph. With a cloudless sky, the Colorado sun lit up the snow for a gorgeous day. We were passed by a Tokyo Joe’s team of 8 or so mountain bikers. 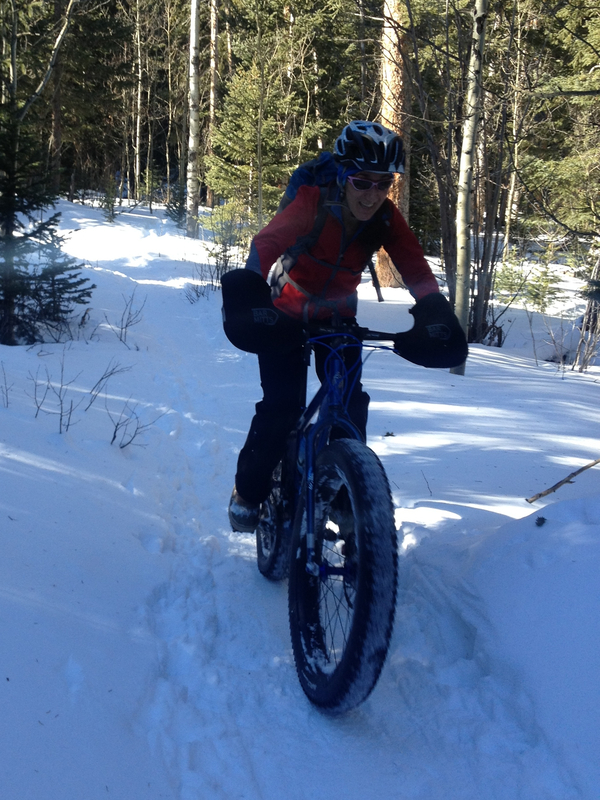 Click on the pic and check out these fat tires! This looks really cool to me. We had a decent workout, completing 3 miles at a 2 mph pace. Thirty minutes faster than last weekend. Karen thinks this trail is less technical. The snow was fairly well packed too. This is clearly a high use trail. It’s a shared trail and had more cross country skiers than hikers snowshoeing. Dogs are allowed and there were plenty. One dog wore boots. Definitely a dog day out there. We were shedding gear on the way back. I even took off my gloves. We found ourselves back at the Millsite Inn for lunch. The owner, Kurt, is quite a character. He looks about 65 – hard to say. Could be older. He said he played NCAA Basketball for Ohio State – he looks about 6’4″. 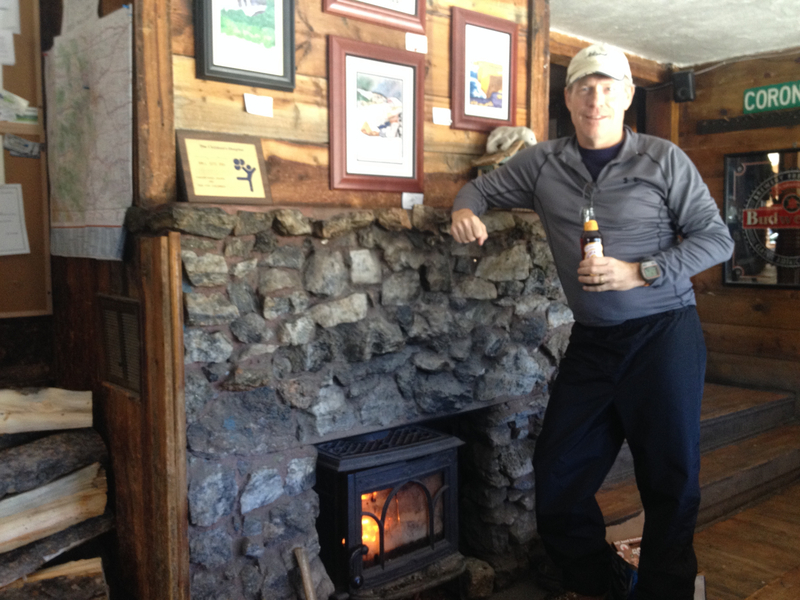 He tells us stories of his snowshoeing and skiing. He showed us pictures he took today of some snowshoe hares. Stunning photos. This is two weekends in a row snowshoeing for us. Our goal is to hit the next three weekends before I head to Austin for the Austin Marathon. I should probably be getting in more running miles, but I don’t intend to run that race very hard. And I’m a big proponent of mixing up workouts – even though I’m generally bad at it. 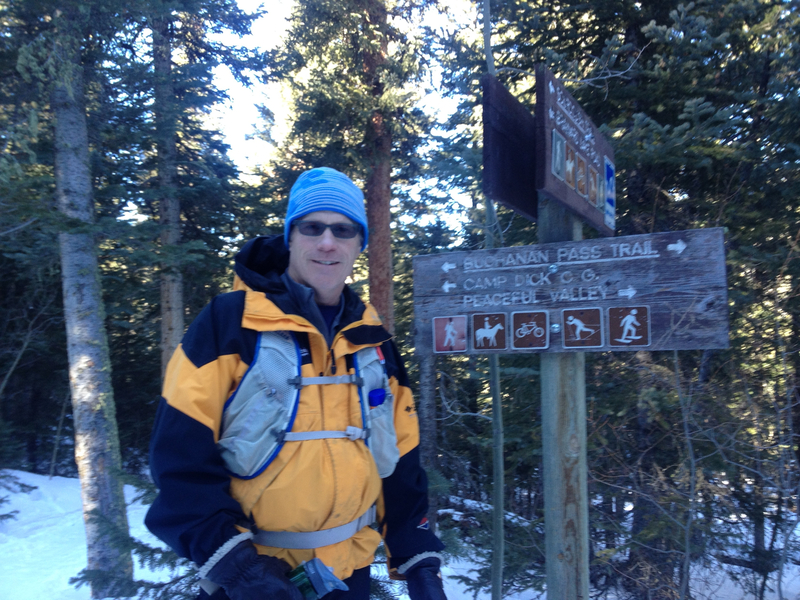 If I do well in Austin, I’ll publish a book on how to snowshoe yourself into shape for a marathon. Looks like fun. I haven’t gone snowshoeing in several years. Yep. Really nice change up from running every day.